Didn't find what you were looking for? Please email sloan@london.edu. What is the LBS Sloan Masters? The LBS Sloan Masters challenges and prepares experienced senior managers moving towards leadership positions to realise their global leadership ambitions. It is a 12-month, full-time degree programme leading to an MSc in Leadership and Strategy. The curriculum combines core courses in leadership and strategy with a choice of electives, and includes a Global Business Assignment. The Sloan Masters programme began at MIT in 1931. It was the brainchild of Alfred P Sloan Jnr, Chairman of General Motors, who believed that the best kind of leader was one who had a cross-functional understanding of management, and that this was best acquired after some years' real-world experience. Today’s Sloan Fellows share a breadth and depth of expertise gained in senior positions worldwide. Three world-class business schools offer programmes that share this great heritage: Stanford, London Business School and Massachusetts Institute of Technology (MIT). 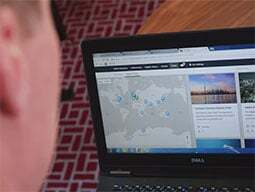 LBS Sloan Fellows join a powerful international network. The LBS Sloan Masters in Leadership and Strategy is the only specialist masters of its kind in Europe. Should I apply to the LBS Sloan Masters or the full-time MBA? The full-time MBA is a general management degree aimed at people who are at a relatively early stage in their career. 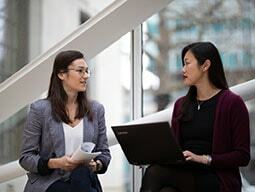 The LBS Sloan focuses on leadership and strategy and has been designed for senior executives with significant management and strategic experience, who would like to study with a group of peers with similar depth and breadth of experience. What is a typical Sloan Fellow like? Sloan Fellows have experience of working at strategic levels and, typically, they have more than 18 years’ management experience. The diversity of their backgrounds means there is no such thing as a typical Sloan Fellow. How is the LBS Sloan Masters curriculum structured? 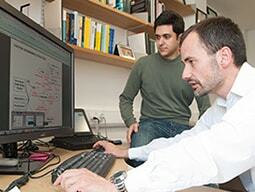 The LBS Sloan Masters is a full-time 12-month programme run over three academic terms. The core curriculum runs throughout the year with courses connected to the three main themes: Leadership, Strategy and Business Fundamentals. This is supported by electives and a Global Business Assignment. The LBS Sloan Masters starts once a year in January. We recommend candidates apply early so they have enough time to make practical arrangements before starting the programme. What is the purpose of the core courses? LBS Sloan Masters core classes balance the theoretical elements that underpin the behaviour of individuals, firms, markets and economies, and many applied and practical aspects of the various business disciplines. They are designed to give you an update on key aspects of business and equip you with the crucial knowledge that all leaders must possess. What are the study groups? How are they put together? You will be assigned to a group of approximately five people at the beginning of the programme for core course study. The study groups are put together based on a series of psychometric tests undertaken by students as part of pre-programme. We also aim to make each group as diverse as possible in terms of cultural, educational and professional backgrounds to ensure the learning experience is as enriched as possible. How do the electives fit in the programme structure? Sloan Fellows take elective courses during the second and third terms of the programme. Students are required to complete five electives but may take up to eight. Electives are chosen from the School's wide-ranging portfolio of over 65 courses. Apart from core and elective courses, what else does the programme include? The course also includes a Global Business Assignment – a unique opportunity to broaden your business experience, grow your global network, apply your skills and explore a new culture. Through a combination of lectures, company visits and debates, experience the way business is conducted in a global market and test your ability to lead across boundaries. Develop a truly global business perspective and make a positive impact on the companies you are working with. 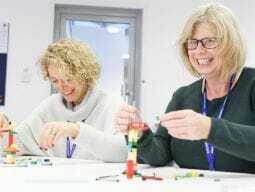 Beyond this, the programme includes a number of skills workshops as part of Sloan personal planning and development, which you can tailor to your individual needs. Each course on the LBS Sloan Masters is assessed using some or all of the following tools: individual projects/essays/reports, examinations, class participation, group assignments/reports and class presentations. When you graduate you will receive a Masters in Science (MSc). What level of work experience do I need to have? Successful LBS Sloan applicants are executives, professionals and entrepreneurs who can demonstrate significant levels of achievement in their career and experience of decision-making at strategic levels. Sloan Fellows typically have an average of 18 years’ experience with extensive management responsibilities. Should I hold an undergraduate degree? 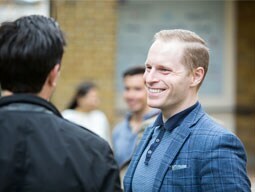 It is very unusual for LBS Sloan Fellows not to have an undergraduate degree, although we do occasionally offer places to people with an exceptional career history and a high GMAT/Executive Assessment score. Should I consider the Executive Assessment? The Executive Assessment has been developed by a consortium of business schools as a diagnostic of proficiency in key areas specifically for executive calibre candidates. It is shorter than the GMAT test, and designed to be taken with modest preparation. You can read more about scheduling, content and preparation by going to: Executive Assessment. Remember you can fast-track your application by applying with the minimum application form, CV, essays and one reference. Tests are used as part of multiple criteria to assess an applicant since they provide useful information about quantitative and verbal reasoning abilities. They also offer a useful benchmark to judge applicants across degree subject, academic institution and nationality. London Business School Sloan GMAT reporting code: Z11-J7-18. Candidates may submit their applications pre-GMAT as part of the fast-track process (application form, essays, 1 reference). We do not set a minimum test score, but pay attention to performance, educational background and skills and responsibilities in your career and current position. A high score does not guarantee admission; equally, a below-average score does not automatically discount your candidacy. How do I prepare for tests? Make use of the many preparation and study aids. It's important that you prepare early. We recommend practice sessions with a preparation textbook or software, and being rigorous on timing. If the concepts are unfamiliar, you may benefit from a tuition course. Timing is critical. Take advantage of the application fast-track option to get a stronger sense of your candidacy, then you have an agreed time to work on tests with the confidence of knowing your place is reserved. Candidates who are not UK/EU nationals should build in time to take the test and complete the process in time to apply for their visas to the UK. You can only take the test once in the same month. Forward planning will allow you to retake the test if you're not happy with your score. Every year we welcome students that have retaken their test. It is worth at least booking your test, to have a date to work towards. Visit http://www.mba.com/global/the-gmat-exam/ to obtain more information about available test centres and dates. On the day itself, try to relax, drink plenty of water and let us know how you got on. Can I waive the GMAT? In exceptional cases, the GMAT, GRE or EA can be waived. We will consider waivers for candidates whose work experience, professional status or prior degree/training indicates a high level of analytical or quantitative ability. Treasurers, Chief Accountants, CFAs or candidates with advanced training in quantitative fields of study. We invite candidates who feel they merit a waiver to speak with an admissions officer for more information. Requests for waivers will be considered after candidates have submitted their online application. Fast-track candidates should submit their transcripts if they believe they may be suitable for a waiver. 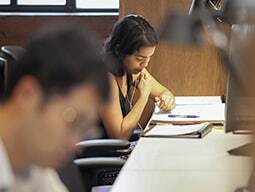 The Admissions Committee may require any candidate to take the GMAT, GRE or EA at its own discretion, and may also ask that a candidate complete an alternative test or an online course in order to meet the conditions of admission. Do I need to take TOEFL/IELTS? You may be required to take TOEFL/IELTS if English is not your first language and you have not worked or studied in an English-speaking environment. This is judged on a case-by-case basis by the admissions team. Please see visa requirements for more information. Can I apply for more than one programme at the School? You cannot apply to more than one masters programme at LBS or our partner schools at the same time or in the same academic year. You cannot re-apply to the same programme within the same academic year. We operate a rolling admissions process, with applications reviewed in the order in which we receive them. The admissions process usually takes up to eight weeks: the sooner you submit your application, the sooner you will receive your final decision. We strongly recommend that you apply as early as possible to provide yourself with plenty of time to finalise arrangements with your organisation and colleagues and, if necessary, to arrange relocation to London with your family. Once the class is full, we operate a wait-list system with priority given according to the order in which applications are received. Many wait-listed candidates are successful in securing a place on the programme. We will do everything we can to help you with the application process. The application fee for the LBS Sloan Masters is £160. You pay online after submitting your application. Your application will remain incomplete until we receive the fee. Graduates of London Business School and the University of London do not have to pay the fee. Graduates of fellow University of London colleges, Columbia University and the University of Hong Kong can apply for free. You must request a fee waiver when you apply, and provide a copy of your college transcript. Candidates recommended by London Business School alumni may also be exempt from the application fee. Alumni wishing to recommend a candidate should email sloan@london.edu stating their relationship with the candidate and their reasons for the recommendation. Recommendations must be received before the application is submitted. Who should my references be from? All applicants are required to have two references submitted on their behalf. One referee should be a current or previous manager; the other a colleague, someone else who knows you well at work, or someone else who knows you in a professional capacity. Do I need to submit my academic transcripts? Candidates are required to submit academic transcripts from their undergraduate and graduate educational institutions. If the original transcripts are not in English, please also provide certified translated copies. Candidates should apply online and send their supporting documents, including references and academic transcripts, to the Sloan admissions team. Before applying, please read the detailed instructions on the how to apply page. Once an application is submitted, what happens? You will receive an initial decision on your application within two to three weeks of submission. If successful, you will be invited to attend an interview with senior admissions staff or LBS Sloan alumni. Following this, you should receive a final decision within two to three weeks with a deadline in which the offer must be accepted. The whole process generally takes six to eight weeks. If your application is not successful, please review the admissions criteria against your application and ensure that your experience and objectives are aligned with the admissions criteria. Remember that competition for places is high, and consequently we are not able to offer places to every suitable candidate. What are the tuition fees for the programme? 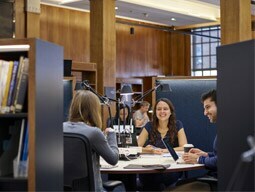 Tuition fees for the intake are given in Key Details on the LBS Sloan Masters Homepage. All candidates are asked to pay a commitment fee of £8,900 when they accept their offer of a place on the programme. Self-sponsored students are required to pay the remainder in three equal payments at the start of each academic term. Companies sponsoring an employee pay the balance in one payment before the first term starts. If you are not based in London, you should budget for living expenses, which will vary according to your circumstances and lifestyle. You will need to budget £30,000-£45,000 for a family or £25,000-£30,000 for a single person if sharing accommodation. There is no accommodation available at London Business School. Are there any scholarships for the LBS Sloan Masters? 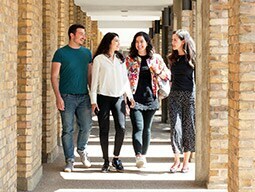 Read more about the LBS Sloan Masters scholarships. Are there other recommended sources of funding? For more information, see LBS Sloan Masters: fees and financing. I have read the information on the website. How do I find out more about the programme? Once you have reviewed the website and the LBS Sloan brochure, we recommend you attend an on-campus information session in London. Book a place on an information session. I cannot attend an information session, as I am not based in the UK. How can I find out more about the Sloan programme? • You could attend a global information session - we organise regular events around the world. To see the cities we visit, and to reserve a place at an event, see our events page . • We can have a telephone conversation with you. Either call us at a convenient time on +44 (0)20 7000 7500 or email us at sloan@london.edu with the number you would like us to call you on. • We can put you in touch with current students or alumni. 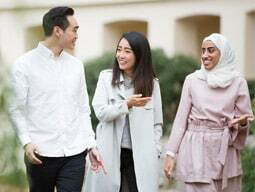 If you would like to speak directly with students or alumni, send your CV to sloan@london.edu so that we can match you with a suitable contact. We are unable to put you in touch without viewing your CV.